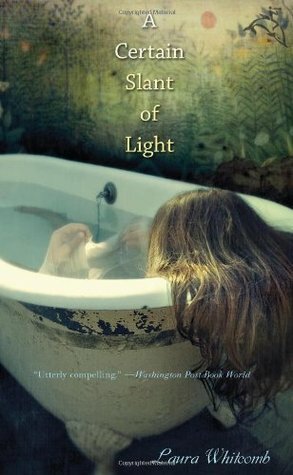 In the course of my reading for the PHD, I have come across some wonderful books, and one of them is American novelist Laura Whitcomb’s daring, touching and beautiful YA novel, A Certain Slant of Light, which is half ghost story, half romance. The main character, Helen, died over 100 years ago, and since then has existed in a transitional place between life and death as one of the ‘Light’, haunting the ‘Quick’, living people who are her ‘hosts’ and immersing herself in literature as all her ‘hosts’ are writers of one kind or the other, so that she’s almost like a variety of muse. She’s forgotten most of her life history, and doesn’t understand why she’s stuck in this dimension but is afraid of finding out more, in case she gets moved on into hell. Then one day, in the class of her current host, a literature teacher, she meets a boy called James, who isn’t quite what he seems at first. That meeting will transform Helen’s afterlife, as she learns more about herself, love, and salvation. The language is intensely poetic, and the compelling story well-integrated with exploration of such things as the intricacies of sexual relationships and the nature of religious hypocrisy. It’s such a gripping, unusual novel that, reading it on the train, I very nearly missed my stop! The novel, which was Laura Whitcomb’s first, was very successful, and led to others, which have also done very well. 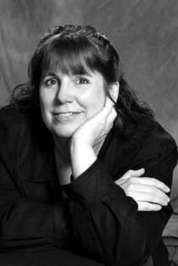 Inspired by my reading, I contacted the author, and asked her a few questions. A Certain Slant of Light was your first novel,but it is remarkably accomplished both in style and story. Can you tell us about your writing career before it,and how the novel was published? 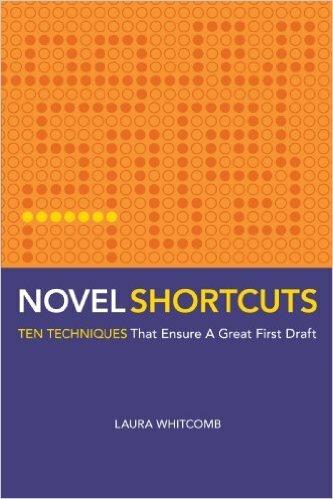 In the 20 years before I sold my first novel I wrote 20 drafts of 20 unpublished novels. So I had lots of practice. Most of the time I was not actively trying to land an agent or sell a book. I was just writing because I loved to write. The novel is a bold and unique re-visioning of the traditional ghost story,infusing it with the passionate vivacity of romance. How did you first come up with the idea? And how difficult was it to maintain that balance between the wistful dread of the ghost story and the warm recklessness of romance? I came up with the idea for SLANT while I was listening to an Anne Rice audio book while I did housework. I liked the way her vampire narrator was from an earlier period of history but reflecting on the contemporary world. But, I thought, you don’t have to be a vampire to do that. You could be a ghost. Next I tried to think what might be the strangest thing that could happen to a ghost. I decided it would be being seen. Next I wondered, why can just this one person see her? Let’s say it’s because he is like her–he’s dead but borrowing a human body. And then the story unfolded from there. Your characters,both the Light and the Quick, are intensely real. How did you go about creating them and their worlds? I think creating vivid characters and their worlds comes partly from having life experience and writing experience. And partly it comes from real people I’ve met and environments I have experienced. If you love the story you are writing, you will be compelled to craft that story with the heart and details that make it come to life. The novel is infused with the living, necessary,inspirational and consoling presence of literature and words–indeed Helen’s hosts have all been writers in one way or the other. Can you tell us about that? The hosts in SLANT were similar to Emily Dickinson and other famous authors and Helen clung to them because she was a book lover, like I am. When a soul is stuck, like the ghost of Helen, literature would be a healing escape, I thought. 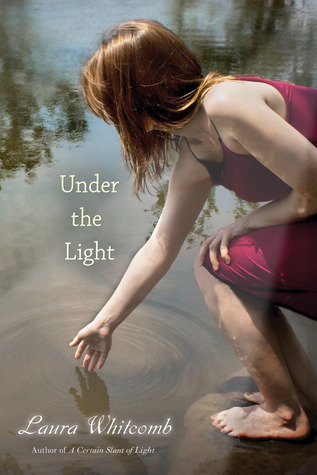 You wrote a sequel to the book–Under the Light–quite a while after the publication of A Certain Slant of Light. Was it an unexpected thing,or did you always intend to write a sequel? For years I thought there would never be a sequel to SLANT, but then I was haunted with the idea of what might have happened after that first story ended, what stories led up to it, and where the spirits of Jenny and Billy went, what they did, while the ghosts of Helen and James were borrowing their bodies. It became too appealing–I had to write it! 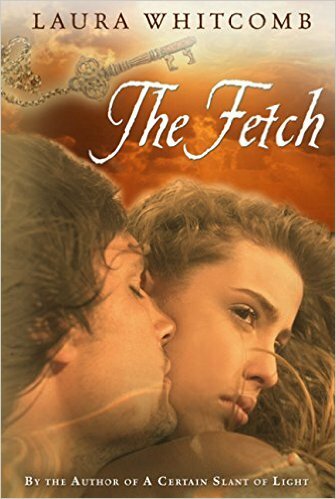 The book you wrote between those two,your second novel,The Fetch, was also very successful. Can you tell us about the inspiration behind it? I got the idea for The Fetch while walking in a woodsy park along a river on a winter day. The scenery reminded me of Russia. I thought how strange it was that such fascinating real characters were involved in the same adventure: Anastasia and Alexis Romanov, youngest children of Tsar Nicholas II, and Rasputin, the controversial spiritual advisor to the children’s mother, Alexandra. I started to create a supernatural re-imagining of why it was nearly impossible to assassinate Rasputin and why, after the execution of the royal family, the bodies of the two youngest children were the only ones not found. You have also written two non-fiction books on writing novels. What has been the reception to them? 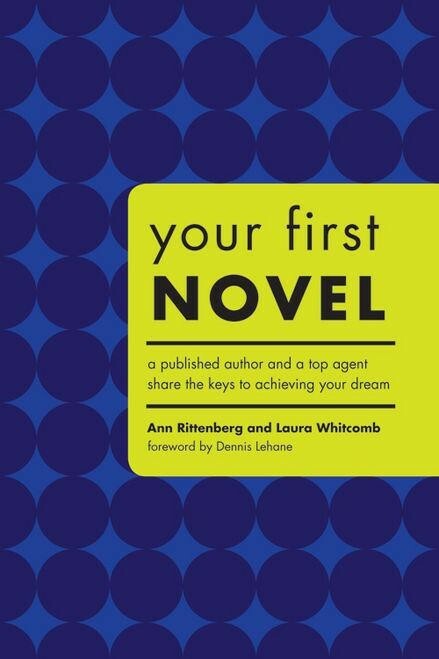 I have gotten lots of great feedback about my “how to” book Novel Shortcuts, but Your First Novel, co-authored with my agent Ann Rittenberg, has been even more popular probably because it not only covers how to write a novel, it includes fabulous insights into the career side of the business. And then there’s the wonderful forward written by another of Ann’s clients, Denis Lehane. Since your first novel came out ten years ago,there have been quite a few changes in the publishing industry. What’s your take on it, and how do you think authors can best cope with change? I am not an expert on publishing trends, but my advice to novelists is to avoid chasing them. And write the story you love best. If it doesn’t sell right away, don’t fret, because you’re already working on your next novel and the more you write the better you get. You never know which book will be the one that launches your career. Like her Facebook author page.